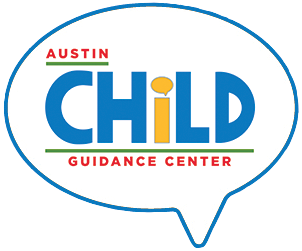 The Austin Child Guidance Center offers a full-time postdoctoral fellowship in child/adolescent psychology. Our program is listed in the Universal Psychology Postdoctoral Directory and follows APPIC selection and notification guidelines. Developing supervision skills. Other goals (e.g., developing group therapy skills, assessment of autism-spectrum disorders) are chosen by the fellow and his/her supervisor at the outset of the postdoctoral fellowship year. The doctoral postdoctoral fellowship will begin August 31 and continue for 12 months at 40 hours per week. Vacation and sick leave are provided, as well as employee health insurance. Please see the Postdoctoral Information Sheet for additional information and application instructions. Please send application materials here or inquiry to Julia Hoke.